Spacious Quiet Home With Stunning Views and Sauna. Property 5: Spacious Quiet Home With Stunning Views and Sauna. Ski Mt Baker * Eagle Watch from our Guesthouse Along the Nooksack River! Property 7: Ski Mt Baker * Eagle Watch from our Guesthouse Along the Nooksack River! Property 9: There's Snow time like the present in Big Bear! Property 10: le bon temps roulle...!! Beautiful dog-friendly home on the lake! Enjoy great views & a private dock! 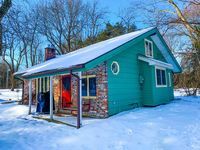 Property 19: Beautiful dog-friendly home on the lake! Enjoy great views & a private dock! Buck Horn Lodge, Private, 3800' w/view of Maggie Valley, Grill! Property 24: Buck Horn Lodge, Private, 3800' w/view of Maggie Valley, Grill! Property 27: Intimate cabin for two w/a private hot tub & wood stove! Private, Quiet Country home just 20 minutes from Santa Fe. Property 28: Private, Quiet Country home just 20 minutes from Santa Fe. Awesome mountain views with recent clearing! Property 31: Awesome mountain views with recent clearing! Beautiful Mountain Views with Trout Creek Frontage! Ten Miles from Yellowstone! Property 48: Beautiful Mountain Views with Trout Creek Frontage! Ten Miles from Yellowstone! INGROUND PRIVATE POOL AND SPA/-PRIVATE/FISH FEEDING POND-BASKETBALL COURT-L@@K! Property 50: INGROUND PRIVATE POOL AND SPA/-PRIVATE/FISH FEEDING POND-BASKETBALL COURT-L@@K! The house was sparkling clean and in a beautiful location. The hosts are very friendly and informative. Will definitely go back. My husband and I celebrated our 10th wedding anniversary here last year. It was a lovely quaint cottage. The view of the pond each morning was great and the fire kept the place nice and toasty. Everything was there to make and maintain a fire easily. Staples like coffee and fresh fruit were a welcomed surprise. A flock of turkeys meandered through while we were there and we look forward to bringing the whole family again in the summer to take advantage of the row boat and fishing on the pond. Note there is not much privacy as the loft areas are open to each other as well as to downstairs.